Mobile technologies have been described as ‘boundary' objects which enable teachers and learners to transcend many of the barriers such as rigid schedules and spaces which have hitherto characterised traditional forms of education. 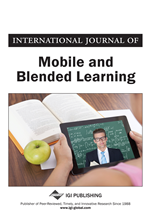 However, educators need to better understand how to design learning scenarios which genuinely exploit the unique pedagogical affordances of mobile technologies rather than replicating existing patterns and modes of behaviour. This article describes the design and development of a mobile learning toolkit for educators to realise this vision. It presents the theoretical underpinnings for the toolkit and describes the development of different tools, instruments and resources. The main aim of the toolkit is to help teacher educators and teachers build knowledge and understanding of more diverse mobile pedagogical approaches. Pedagogic toolkits have been promoted as ideal resources for educators to become more engaged with new, challenging areas of teaching (Oliver & Conole, 2000) particularly in the area of digital pedagogies. They typically focus on teachers’ professional learning about designing pedagogy—in the case of our toolkit, designing and implementing effective mobile pedagogies—providing resources and strategies (‘tools’) to support teachers in addressing pedagogical problems in their own teaching contexts. In this way, toolkits can be viewed as bringing “best practice within the reach of all practitioners in a usable format” (p. 36), and a conduit for professional engagement in new pedagogical domains. Toolkits assume a ‘just-in-time’ approach and generally promote flexible engagement by the user, in contrast to more traditional, linear-structured manuals or cookbooks, and also distinct from more prescriptive, scaffolded digital templates and wizards that incorporate a ‘just-in-case’ approach (Conole & Oliver, 2002). However, toolkits are more open-ended and adaptable than this type of template approach (Conole & Fill, 2005), providing support to teachers beyond surface-level guidance. The core element of educator toolkits is the theoretical underpinning. Hence, use of a pedagogic toolkit aims to support educators making theoretically-informed decisions about appropriate pedagogies. Any ‘claims’ in a pedagogic toolkit for teachers, such as claims of ‘best practice’ or ‘good learning’, can therefore be interpreted through the lens of the toolkit’s underpinning theory. Apart from this foundational theoretical overview, other toolkit elements include strategies and mediating tools for the user to engage with the espoused theory.